What Are Chimney Flue Caps? The fireplace is a wonderful invention that keeps you warm in the winter and looks gorgeous all year. But did you know that without proper precautions your chimney could backfire—literally. Fire creates heavy thick smoke that must billow freely out of the sizeable hole atop your chimney flue. If smoke can escape out of this hole, have you ever wondered what might be able to come right on in? An affordable way to keep your house and fireplace safe from a number of costly calamities is to have a chimney cap installed. Chimney flue caps come in a variety of styles and can be made from a number of different materials; here we explain how chimney flue caps operate, why chimney flue caps are needed, and how to pick the right material for chimney flue caps. Some chimney flue caps are elaborate, others are basic, but none are solely for decoration. Chimney flue caps have a big job to take care of. All of the smoke from your fireplace is directed out through the chimney flue on top of your roof, which contains a hole that is at least one square foot wide. Without a cover over this gap you are calling all animals, elements, and potential dangers to hop on through into your warm and cozy home. A chimney cap is installed over the top of your chimney flue to secure this opening while still allowing smoke to pour out. Some chutes provide more protection than others, for instance if pests are causing problems you can invest in a chimney cap that includes a tightly knit screen for extra protection. If you want to keep you, your family and your home safe, there are a number of reasons a chimney cap is a must have. Here are 4 reasons you NEED a chimney cap if you have a fireplace. The heat from your fireplace carries all the way up onto your roof; critters are naturally attracted to this heat and will be inclined to build their nest right beside your chimney. Without a chimney cap secured on top, it’s too easy for these animals to sneak right inside down your chimney flue. Trust us, you don’t want squirrels making a domain out of your home—for starters, did you know squirrels can create a 4-foot deep nest in only one day? 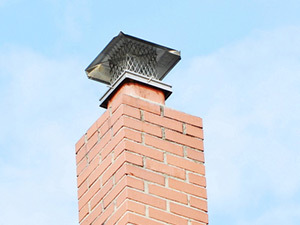 Draft problems can also cause smoke to come right back into your house; certain chimney flue caps are made to work with this airflow, using the wind as power to form a stronger updraft. As your fire crackles and pops, embers can be catapulted all the way up and out of the chimney flue. Without secure chimney flue caps, it is possible for these embers to land on your roof, sparking a completely preventable house fire. 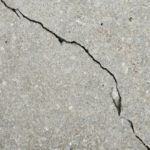 If rain, snow, or any form of water seeps down into your chimney big problems can arise. 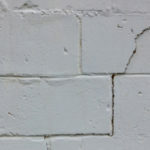 Moisture brings about damaging effects that can actually harm the internal structure of your chimney. These damages will only increase if water freezes and then melts within the walls of your chimney, especially if you have a masonry chimney. The only way to keep water out for good is with high quality, properly installed chimney flue caps. The material that you select for your chimney flue cap can make a big difference. 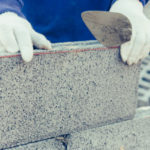 Since chimney flue caps will be exposed to the elements, certain materials are only going to break down with time and leave you and your home vulnerable. 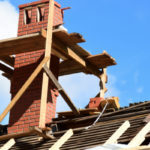 For instance chimney flue caps that are simply screwed into place often blow away as soon as the nails become rusty and start falling out. While aluminum and plain steel caps are more affordable, you are going to get the most value from stainless steel or copper chimney flue caps. Even 20 years down the road your stainless steel cap will look and function like new, boosting the ability to withstand the elements. It doesn’t take long for problems to arise after chimney flue caps go bad. Professional and high quality chimney flue caps installation is a must to keep your home safe over the long haul.